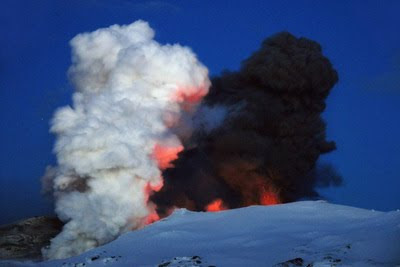 Its name, Laki, is easier to pronounce than Eyjafjallajokull. Some Icelandic words are easier to pronounce than others! The Laki volcanic fissure in southern Iceland erupted over an eight-month period from 8 June 1783 to February 1784. It triggered a weird weather and bad crops which were one of the causes of the revolution. Well, you'll have to join to visit the country first and then you might want to get naturalized. hat's what I did. It was entertaining to watch the short videos beginning with "Meet the ambassador" but then, when I got naturalized, even if I thought the constitution which is to be voted soon made sense,I was disappointed by the ambassador's replies to my questions! I don't regret getting naturalized anyway. 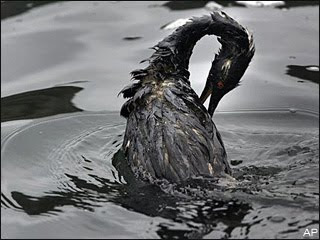 Follow-up on the Mexican Gulf Oil Spill. Here is the best way to follow the Eyjafjallajokull volcano live! And a great site to get more follow-up. Here is a video link about it!